Dinner time just got a whole lot easier with complete one-pan meals. 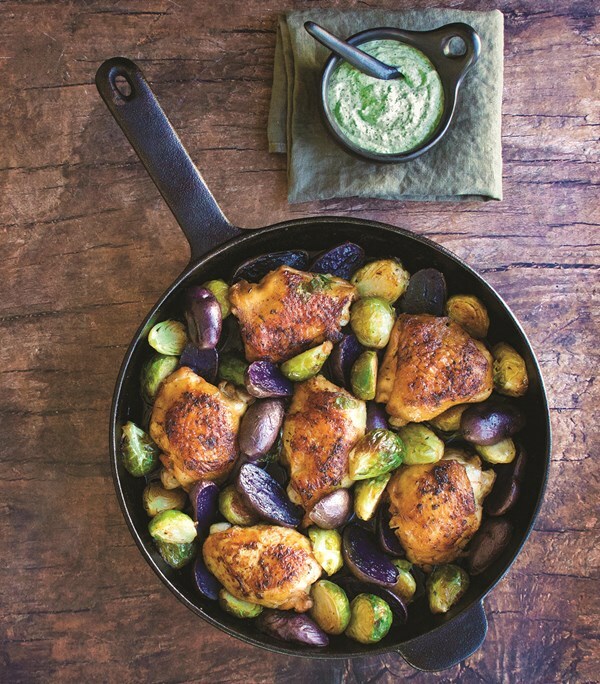 A one-stop resource for amazingly delicious complete meals made in just a single skillet or sheet pan, created by the food-world favorite husband-and-wife team who develop recipes for all the major magazines. Even if you love to cook, the last thing you want to do at the end of a long day is wash a sink full of pots and pans. Hero Dinners gives you the superpower to make delicious, well-balanced meals using fresh, wholesome ingredients—all in just one sheetpan or skillet. The wizardry behind these complete meals is in super smart, innovative— and simple!—techniques that ensure you won’t end up with muddled flavors and textures. With these inventive recipes, you’ll maximize the impact of each and every ingredient and flavor. And every recipe truly makes a complete meal, including protein and a vegetable or grain—and usually both. In clear, easy-to-follow instructions, cooking experts Marge Perry and David Bonom show you how to magically elevate commonplace ingredients into delicious meals you’ll make again and again. Sometimes the “magic” lies in respecting the inherently good flavors of the ingredients, as in bronzino roasted with orange slices, drizzled with a simple caper vinaigrette and accompanied by crisp roast potato slices layered with tomato and fennel. Other times, savvy use of interesting condiments, such as Moroccan harissa paste or pomegranate molasses, lend robust flavor with very little work. A mouthwatering color photo accompanies every recipe, and the book is peppered with dozens of incredibly useful tip boxes to help cooks shave time or calories; learn about ingredients and substitutions; and get even more efficient in the kitchen. 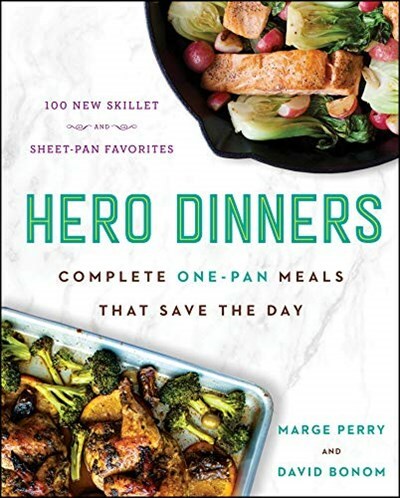 Hero Dinners is your powerful everyday mealtime solution: armed with the recipes in this book, you truly do make Hero Dinners.